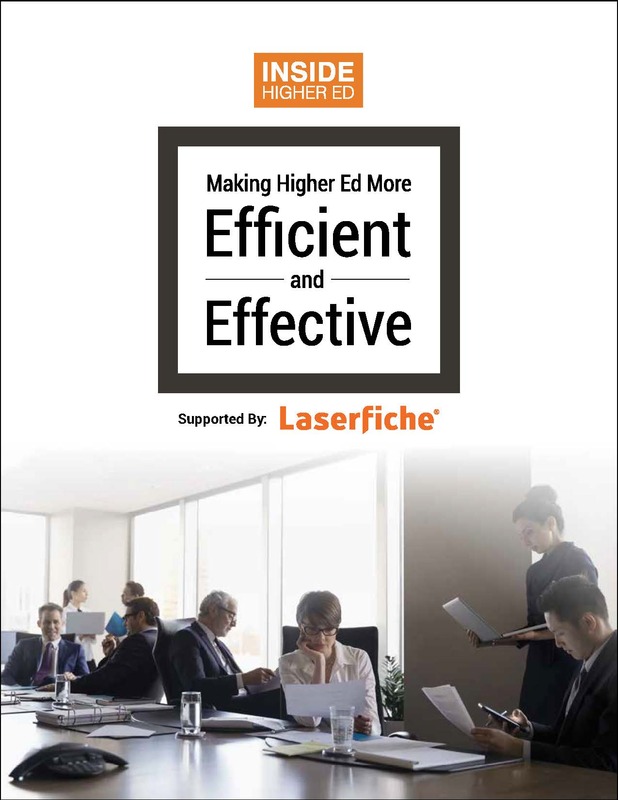 "Making Higher Education More Efficient and Effective" is Inside Higher Ed's new downloadable compilation of articles. You can download the print-on-demand booklet, free, here. On Thursday, March 22, Inside Higher Ed's editors presented a free webcast to discuss the themes of the booklet. You may view a recording of the webcast here. This booklet was made possible in part by the advertising support of Laserfiche.